Dr. Morton I. Teicher, 97, of Scarsdale, NY. He was born in the Bronx on March 10, 1920 and died on June 13, 2017 in the presence of his two children. His distinguished career took him to Boston, Toronto, New York, Lusaka, Zambia, Jerusalem, Chapel Hill and Miami. He was the quintessential gentleman and scholar and a distinguished social work educator, noted anthropologist, committed Jewish communal professional and prolific book review writer. Son of the late Celia and Samuel Teicher; beloved husband of the late Mickey Adler Teicher; brother of the late Elaine, Abe and Jerry Teicher and loving father of Phyllis and Alvin Goldman, and Oren and Alison (Greene) Teicher. Proud grandfather of Liz and Randy; Mattis and Rebecca; Mark and Julia; Carrie and David; Jessy and Emily; Zachary and Anne. Adoring great-grandfather of Miriam, Adam, Judah, Isaac, Franklin, Daniel and Maya. Devoted uncle and great-uncle. World War II Veteran who served in India for three years. Graduate of Townsend Harris High School; CCNY; University of Pennsylvania (MSW); University of Toronto (PhD). He did anthropological field work among the Eskimo and the Iroquois. Accomplished author, world traveler, well- respected founding Dean of three schools of social work - The Wurzweiller School of Social Work of Yeshiva University, the School of Social Work at Bar-Ilan University and the Oppenheimer College of Social Welfare in Lusaka, Zambia. He was a former president and founder of the Thomas Wolfe Society; lifetime voracious reader; family patriarch; and inspiration to thousands of students for 50 plus years. After Morton Deutsch learned that Lydia Shapiro was sunbathing along the Charles River in Boston when she was supposed to be interviewing subjects for his sociological experiment, he resorted to a conventional means of resolving a workplace dispute: He abruptly fired her. A little more than a year later, though, he took a more creative and constructive approach to repairing their frayed relationship: They became fully cooperative partners, husband and wife. “I have accused Lydia of marrying me to get even, but she asserts it was pure masochism,” Professor Deutsch wryly recalled. 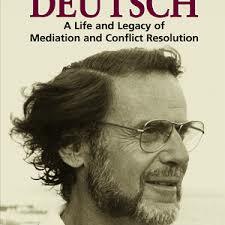 After completing his experiment in graduate school, Professor Deutsch, who died on March 13, 2017 in Manhattan at 97, perfected his formula for reconciliation to become a leading expert on conflict resolution and mediation. He not only remained married for nearly seven decades, he also co-wrote a prescriptive book titled “Preventing World War III” (1962). Whatever credit he might have deserved for thwarting another global military conflict, Professor Deutsch’s principles provided a theoretical framework for various Cold War negotiations, for court decisions that voided legally sanctioned racial segregation in the United States, and for Poland’s peaceful transition from Communist rule in 1989. He served on the faculty at Teachers College of Columbia University from 1963 until he became professor emeritus in 1990. There he founded the International Center for Cooperation and Conflict Resolution (since renamed for him), which he ran until 1997. “The Handbook of Conflict Resolution: Theory and Practice,” which he edited in 2006 with Peter T. Coleman and Eric C. Marcus, became a standard manual for dealing with labor, commercial, international and marital disputes. “The point is that social forms are self-fulfilling, so that coercion, intimidation, deception, distrust and hostility are both causes and effects of competition, whereas assistance, openness, information sharing, perceived similarity, and friendliness are both causes and effects of cooperation,” Professor Jost wrote. Morton Deutsch was born on Feb. 4, 1920, in the Bronx to Charles and Ida Deutsch, Jewish immigrants from what is now Poland. His father was a butter and egg wholesaler. Raised in the Washington Heights section of Manhattan, he read Freud and Marx when he was 10, graduated from Townsend Harris Hall and entered City College when he was 15 planning to become a psychiatrist. 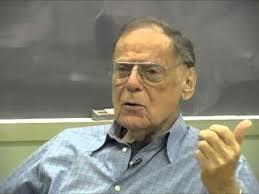 He received a bachelor of science degree from City College in 1939 and a master’s from the University of Pennsylvania. He did not merely observe. He contributed lunch money to the Spanish Loyalists in the 1930s; organized a protest against the quality of high school cafeteria food and a strike by fellow waiters at a summer resort during college; challenged what he considered racist statements by a professor; and, after the Japanese attacked Pearl Harbor, enlisted in the Army Air Forces and flew 30 missions as a navigator over Nazi-occupied Europe. “Being in World War II and experiencing the devastation and horror of war, even though I felt the war against the Nazis was justified, I became interested in prevention of war,” Professor Deutsch told Teachers College Today magazine in 2009. It was at M.I.T., where he earned his doctorate on the G.I. Bill, where he also met his wife, Ms. Shapiro, who survives him and confirmed his death, along with their sons, Nick and Tony; four grandchildren; and one great-granddaughter. Professor Deutsch’s postgraduate studies in the late 1940s were heavily influenced by the atomic bombings of Japan, followed by the formation of the United Nations. His doctoral dissertation was the basis for his theory of cooperation and competition, which postulated that a group’s success depends on the extent to which its members believe their goals are shared and see a potential to make common cause. But the same rules applied for confrontations big and small, and, since he fired Ms. Shapiro, his researcher at M.I.T., Professor Deutsch said there were plenty of occasions to practice what he preached. Courtesy: New York Times, March 21, 2017. Kenneth J. Arrow, one of the most brilliant economic minds of the 20th century and, at 51, the youngest economist ever to win a Nobel, died on Tuesday at his home in Palo Alto, Calif. He was 95. His son David confirmed the death. Professor Arrow — a member of an extended family of distinguished economists, including Professor Samuelson and Lawrence H. Summers, the former Treasury secretary and adviser to President Barack Obama — generated work that was technically forbidding even to mathematically oriented colleagues. But over the decades, economists have learned to apply his ideas to the modern design of insurance products, financial securities, employment contracts and much more. The backdrop for Professor Arrow’s influential early work was the centuries-long recognition that majority voting can produce arbitrary outcomes. Consider a legislature choosing its leader from among three candidates: Alice, Betty and Harry. If the legislature were to vote first on Alice versus Betty, with the winner running against Harry, it could come to a different decision than had it first started by voting on Alice versus Harry. Because the order with which the legislature takes votes is arbitrary, the ultimate winner of this system of majority voting becomes arbitrary. That puts politics in an awkward corner. What Professor Arrow proved in his book “Social Choice and Individual Values” (1951) was far more sweeping. Not only would majority-voting rules prove unsatisfactory; so, too, would nonvoting systems of making social choices if, as was fundamental to his way of thinking, those choices were based on the preferences of the individuals making up the society. (Professor Arrow’s rules did not allow for dictators.) The Arrow “impossibility theorem” ricocheted around the social sciences, noteworthy for its use of abstract mathematical concepts to generate a conclusion of sweeping applicability. The basic equations had been set out a half-century earlier by the French economist Leon Walras. But Professor Arrow and his co-authors extended the Walrasian system to capture important complexities, like the fact that markets exist well into the future, posing risk for consumers and producers. Professor Arrow proved that their system of equations mathematically cohere: Prices exist that bring all markets into simultaneous equilibrium (whereby every item produced at the equilibrium price would be voluntarily purchased). And market competition puts society’s resources to good use: Competitive markets are efficient, in the language of economists. When, as expected, he showed up, they were talking out loud about the theory by a marine biologist — last name, Turner — which purported to explain how gray whales found the same breeding spot year after year. As Professor Maskin recounted the story, “Ken was silent,” and his junior colleagues amused themselves that they had for once bested their formidable professor. Well, not so fast. Reprinted from the New York Times, February 21, 2017. Bernard Sorkin passed away at home in Rye, NY on Thursday, December 22, 2016, from complications of Parkinson's disease. He was the son of Basha Sorkin and Isadore Sorkin, who managed an ILGWU local and was a Yiddish newspaper writer. Bernie was the brother of Rhoda Lansky, school executive. He was devoted to Claire, his wife of 67 years, their children, Deborah (husband Robert), Noah and Aaron (daughters-in-law Stephanie and Julia), grandchildren Natalie and Emily Smith, Dana and Matthew Sorkin, and Roxanne Sorkin. During World War II, he was assigned to the Counter Intelligence Corps in the Pacific Theater. He graduated from City College of New York with a B.S., Columbia University Law School with an L.L.B., and a M.L.L. from Brooklyn Law School. He specialized in copyright and intellectual property law from the early period of Warner Bros. movies and Time Warner, which later grew to be a giant in the entertainment industry. He greatly admired the business acumen of Steve Ross and Richard Parsons; the intelligence of his colleagues; the capability of the support staff, and valued their friendships. In addition to his family, he enjoyed books, English and American history, Classical music composed before Verdi, children, theater, movies, TV specials, travel, a good joke, and bow ties -- all in that order. He will be missed. Courtesy: New York Times, December 27, 2016. Judson Kinberg passed away of natural causes on November 2, 2016, at the age of 91. Born in New York on July 4, 1925, Kinberg was a decorated war hero in World War II, earning a Purple Heart and Silver Star. He had a long and fruitful career as a writer and producer of film and television, ranging from live television in "The Seven Lively Arts" to writing and producing episodes of iconic shows "Quincy M.E." and television miniseries like "Kane And Abel" and "To Catch A Killer". He came out to Hollywood during the Studio Era, and was the apprentice and eventual producer for legendary John Houseman, working on films such as "Executive Suite" and "Julius Caesar" starring Marlon Brando. He also wrote and/or produced films ranging from "Lust For Life" to "The Collector," "The Magus," and cult horror film "Vampire Circus." He was nominated for a Primetime Emmy Award for Best Drama Series, and a Golden Globe for Best Motion Picture. He was eventually a Professor of Film and Television at University of Southern California. He is survived by his wife Dr. Monica Menell Kinberg, his three sons Steven, Simon, and Robert, grandsons Toby and Oliver, and their mother Mali Kinberg. Published in The New York Times on Nov. 8, 2016. On September 28th 2016, Samuel Jacob Brendler MD of Suffield completed his rich and remarkable life. His family, his friends and his colleagues treasured his integrity and curiosity, his kindness and patience. He embraced new adventures with enthusiasm, good humor and joy. For over 50 years he was the best friend and partner of Heinke Brendler (née Traulsen). Together they traveled the world, hiking across England, kayaking the length of the Connecticut River, and researching his ancestors in the Ukraine, Brooklyn and Queens. He encouraged his children and grandchildren with love and counsel and was the center and role model for his large extended family who looked to him as an example of a good life well lived. His enthusiastic embrace of life will be greatly missed by Heinke, his children Elizabeth Brendler and Chet Blackman, Katherine Brendler and Ed Lutz, Victoria Brendler and Dan McIntire, Matthias Brendler and Suzanna Schlemm, and Thomas Brendler and Lucinda Hitchcock. His grandchildren Phoebe, Violet, and Lila brought much joy and energy into his life. His seven nieces and nephews—in Connecticut, Pennsylvania, Virginia, and Illinois—will also be deeply saddened to see him gone. He was born March 24th, 1922 in New York City to the physician Charles Brendler and his wife Frances Glaser, and lived on the ground floor apartment at the corner of 93rd Street and Park Avenue. His aunts spoke only Yiddish. He was bar mitzvahed, but soon after he met with the rabbi and cantor to inform them politely that he had no intention of practicing the faith. To their credit, they respected his decision. But he retained its values of questioning, curiosity, and the importance of family for his entire life. He was a young teenager during the Great Depression, and took advantage of the WPA's massive investment in the arts to explore his fascination with theater design, lighting and makeup, for a brief time assisting Martha Graham at the 92nd Street Y. He saw Orson Welles famously perform as Othello. His passion for the arts endured throughout his life. He loved opera (attending several Met productions every year) and also Mel Brooks, Carl Reiner, Peter Sellers, Sherlock Holmes, Marian Anderson, and countless others. He played harmonica, and sang campfire songs. He was not known for his cooking skills, but once brewed delectable imaginary hot chocolate on a wooded hillside in the early 1970s. He was deft with a sterno camp stove, and singlehandedly preserved and perfected the dying art of the ice cream soda. He was a tireless reader, immersing himself in lengthy works such as Ulysses, The Rise and Fall of the Roman Empire, the New Testament, and most recently A People's History of the United States. A lifelong student, he attended night classes in accounting and statistics, and nearly exhausted the inventory of The Teaching Company. While serving in the Army (where he achieved the rank of Major) he took correspondence courses in German and Russian.He smoked a pipe, joyfully (alternately Edgeworth and Balkan Sobranie). He drank only on holidays, and you could tell. He loved chocolate. (If he were writing this, he would say that a few more times.). He was a quintessential early adopter of technology. His first car was a Model A Ford. He was one of the first to buy a Radio Shack TRS-80 personal computer, a calculator watch, a digital camera, and a folding kayak. Then of course there was exercise. He was among the first to take up jogging when it burst upon the American suburban scene in the 1970s, bringing his routine inside after once slipping on the ice, running up and down the stairs before breakfast, with a knapsack filled with barbells. Exercise played to his love of routines, and approached it as if he were his own scientific subject, speaking of his muscles, ligaments, and circulation as elements in a perpetual experiment. He claimed to be unsentimental but was betrayed by small tells, like the construction paper chessboard his children made for him which he kept in the top drawer of his closet for decades. He attended the prestigious Townshend Harris High School at age 13. For several summers he journeyed with his family and others from his neighborhood to spend eight weeks at Camp Powhattan in southern Maine, which has since found a second life as Seeds of Peace Camp, an internationally-recognized conflict resolution program serving Arab and Israeli youths. At the age of 16, he entered New York University where he majored in English and French. He received his M.D. degree from the New York University College of Medicine in 1946, having been awarded membership in the Alpha Omega Alpha Honor Medical Society in his junior year. After studying one year of neurophysiology at Yale Medical School, and a second year of physiology at the Montreal Neurological Institute, he trained from 1950 to 1953 as a neurological surgeon at Massachusetts General Hospital in Boston, only the second generation of the specialty in the field of neurosurgery. He had wanted to be a doctor since he was 12. He taught and practiced neurosurgery at Tufts University College of Medicine and Tufts New England Medical Center in Boston for the next 17 years, interrupted only by a two-year assignment as an Army Major and Assistant Chief of Neurosurgery at Walter Reed Army Hospital in Washington D.C. In 1970 he moved with his family to western Massachusetts where he established a private practice in neurosurgery at Holyoke Hospital. During these 16 years, he served several terms as president of the medical staff. Upon retiring from neurosurgery, he was appointed Medical Director of Holyoke Hospital, the first such full-time supervisory appointment for a medical professional in western Massachusetts. When he retired for a second time a decade later, he consulted to administrative judges of the Massachusetts Department of Industrial Accidents. During his retirement he also served as a teacher's assistant in the Springfield Public Schools, introducing young minds to the wonders of chemistry and physics. During his entire professional career he avoided publicity and recognition with unflagging determination. He often worked late, but always called to say when he was on his way. Most nights his family would wait on dinner until he arrived, and would walk down the street, to the last turn before their house, to search out the first glimmer of headlights. A private family service will take place in Maine, and a public celebration of Sam's life will be held Saturday, November 12, 2016, 4:00 PM at The Unitarian Universalist Society of Greater Springfield, 245 Porter Lake Drive, Springfield, MA. Donations in Sam's memory may be made to the library of your choice. Reprinted from the Suffield Patch, October 24, 2016.